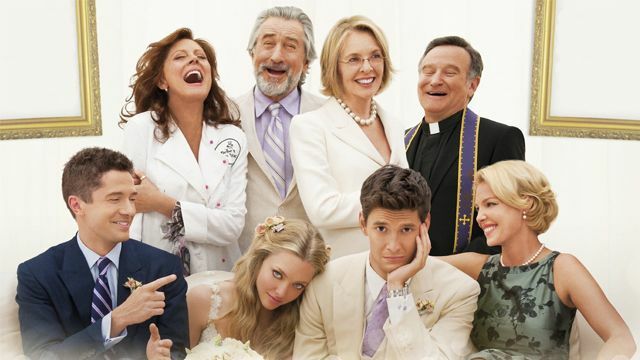 With an all-star cast lead by Diane Keaton, Robert De Niro, Susan Sarandon, Robin Williams, Katherine Heigl, Amanda Seyfried and Topher Grace, THE BIG WEDDING is an uproarious romantic comedy about a charmingly modern family trying to survive a weekend wedding celebration that has the potential to become a full blown family fiasco. To the amusement of their adult children and friends, long divorced couple Don and Ellie Griffin (De Niro and Keaton) are once again forced to play the happy couple for the sake of their adopted son's wedding after his ultra conservative biological mother unexpectedly decides to fly halfway across the world to attend. With all of the wedding guests looking on, the Griffins are hilariously forced to confront their past, present and future - and hopefully avoid killing each other in the process.